Long before going green or saving the planet was the “cool thing,” Laserfleet, previously known as Martin and Martin Office Supplies, was doing just that! 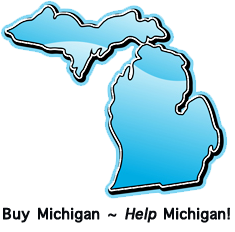 When our doors opened in 1988, we were one of just two companies operating within the state of Michigan, producing what were known at the time as “refilled” imaging supplies. Aftermarket replacement parts had not even been developed yet, nor were there any large office supply stores willing to take a chance on offering compatible supplies. In fact at the time, refilled toner cartridges were considered something of a taboo, a commodity most consumers wanted nothing to do with. Thanks to our dedication, commitment, and trail blazing innovations however, vast developments were made over the years and billions of dollars have been poured into an industry where at one time, the dreaded “drill and fill” method was a commonly used technique. After establishing ourselves as compatible supplies manufacturers and consultants to the industry, we soon focused our energy on learning laser printer repair and maintenance, even going as far as training other hopeful up and coming companies on mastering this highly skilled trade. When that goal became realized, we then expanded ourselves once more into the area of office supplies sales. Today, our company carries over 50,000 items, including technology, janitorial supplies, furniture and office products. Our mission is to provide complete customer satisfaction as an all encompassing provider of office solutions, entitling our customers to the best possible products and services, rendered for the lowest, most affordable costs. For your printing environment, we first assess your needs and surroundings and then from there, establish for you our green plan that works best for you, targeting all around total cost reduction on everything from equipment buys to supplies and paper usage to power consumption. For your general office environment, we offer the wide variety you expect from those big guys, yet the courteousness and service you want from a smaller firm who genuinely cares. We offer next day delivery on most items, and have friendly customer services representatives on call to help with your every need. Laserfleet may have blazed the trail all those years ago, but we couldn’t have done it without customers like you, willing to ignore the critics and to take a chance on us and on our products. Thanks to friends like Wayne State University, the University of Michigan, General Motors Corporation and Ford Motor Company as some of our very first customers, there is just no measuring, literally, how much tonnage of toxic waste has been prevented from dumping into landfills, left simply never to decompose and to poison our land and our water supplies. So go ahead and give yourselves a hand. We do!